On this 31st day of February, I wanted to make sure that my February Masters Letter was sent out before the end of the month. With this in mind, one of the subjects that has been in steady discourse lately is charity. The phrase, "In necessariis unitas, in dubiis libertas, in omnibus caritas" is likely familiar to many here, but in case your Latin is a little rusty it roughly translates to In necessary things unity; in uncertainty- liberty, and in all things charity. In many respects this help to define charity within the scope of Freemasonry. That we must hold firm to the landmarks of the craft, we must know what is necessary to continually strength our actions, but we must always remember that we are individuals and have free reign in our lives. However, both within the actions of the lodge and also the actions of our personal lives that we must always live with charity. Within the original Latin, charity was synonymous with both love and benevolence toward others and we should use this as the focal point on our discussion of charity. This month we had the pleasure of initiating two new brothers, where the charge in the Northeast helped to speak to the importance of charity. That we must regularly practice charity, regulate our actions, and limit our desires. However, it is important to note that as Masons we practice charity not because we are a defined charitable organization, rather it is a natural byproduct of who we are and who we seek to become. The Grand Steward of the Grand Lodge of India has written that the "practice of charity when adopted by a Freemason gives immense please to himself and also shapes the future of both, the donor and the recipient, to fulfill the requirement of humane services and that surely completes the sublime equation of survival in the turbulent period which can be face by anyone living on this Earth." Further, this month we also had a chance to complete this grand equation by providing a donation of $36,000 to the Ronald McDonald House of Ann Arbor in conjunction with the Michigan Masonic Charitable Foundation (MMCF). We were able to see our charity work in action, and how it would help shape the community around us. We had a chance to tour the facilities and see how this contribution will be able to pay for the cost of one of the rooms for a year and assist hundreds of families and affect thousands of lives. So, please join me and consider making a pledge to the MMCF. Whether it be for any amount as a show of faith and commitment. Remember, it is important to contribute liberally to relief of a poor and distressed friend, but more especially a brother mason if without material injury to yourself. Lastly, as we are speaking about charity, I want to encourage you to come and help us plan our charity event for the Fall. This event will be larger than just a #262 event, we will be inviting all Masonic lodges and Masonic organizations across Washtenaw County, and veterans groups to help plan for a Veteran's Day Gala this November. We will have our next meeting on March 31st, at the Zal Gaz Grotto from 3-5pm. Remember, as Albert Pike stated, "What we have done for ourselves alone dies with us; what we have done for other and the world remains and is immortal. It's June, the last month before we go dark for two months. So maybe I should write three months worth of letter. Better yet: one letter about the number three. Three is the magic number and comes up quite a bit in ritual. In the Fellowcraft degree alone there are many sightings of three. The three steps allude to the three degrees in Freemasonry and the three principal officers. Three are the original Greek columns: Doric, Ionic, and Corinthian. Three are the most revered of the five senses: hearing, seeing, and feeling. A solid is a figure of three dimensions, namely: length, breadth, and thickness. There are the three wages of the Fellowcraft: the corn of nourishment, the wine of refreshment, and the oil of joy--which denote plenty, happiness, and peace. "...which are an attentive ear, an instructive tongue and a faithful breast, because the attentive ear receives the sound from the instructive tongue and the mysteries of Masonry are safely lodged in the repository of faithful breasts." The attentive ear is important because there is so much to learn. You may have heard me say I'll be tired of living when I'm tired of learning. Though my ADD can make the attentive part difficult ... I lost my train of thought. Listening is a valuable skill that doesn't always come easily. Wisdom can be in knowing when to listen and to whom you listen. It's something I'm constantly working on, suppressing that urge to interject half cocked into any conversation. Listening isn't the only way to learn though. Some even say to master something you have to teach it. Every Regular Communication we try to have an education coordinated by our excellent LEO Paul Uslan (that's Lodge Education Officer, not his zodiac symbol). That's an example of the instructive tongue expanding your horizons. We all accumulate knowledge along our journeys, Masonic or not, and that knowledge is valuable and should be shared. Passing on our knowledge can help us solidify our own understanding, and in explaining we can find new insight. 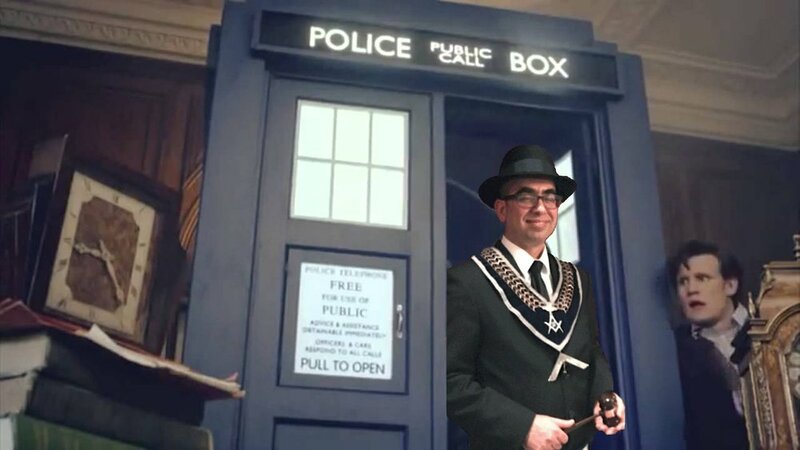 I highly encourage you to reach out to Brother Paul and sign up to do a Lodge Education on any subject you find interesting. Lastly the faithful breast, where we symbolically lodge and literally hold dear the mysteries of Masonry. Determining what knowledge is worth keeping, sharing, or even disregarding is another example of wisdom. Being faithful to the truth is one of the highest ideals of civilization and as Freemasons we are taught to cherish this as much as our secrets and obligations. INDEPENDENCE DAY PARADE: Don't forget, this Wednesday at 9:00am we're meeting by State Street just south of Williams to march in the Ann Arbor 4th of July Parade! 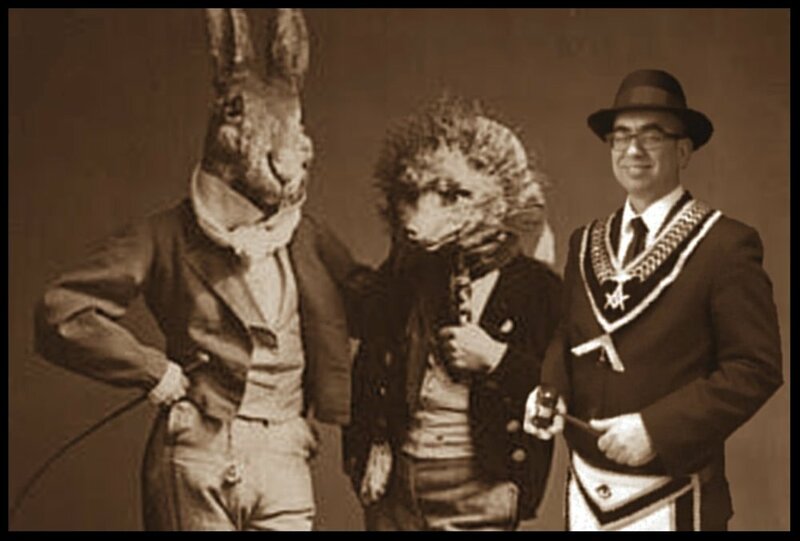 Stay tuned for exact details, all Masons from all over are welcome to march with us! Have a great summer! We'll see you at the July 15 picnic and then in the fall, and don't forget to grow your chili peppers all summer for the great chili cook off 3rd Wednesday of September! I would like to register a complaint. In my March Master's letter we established that March was in like a lion but out like a lamb. However March came out swinging and didn't let up well into April. Finally Spring was sprung but much too late for my preference. Really just went right from Winter into Summer. Whichever Mason was in charge of the weather machine last month really let us down. Contact your BGP and let us file charges. We have all been charged in the EA degree when we were new Masons, but I'd like to review them through the lens of us as old, crusty Masons. There are 6 paragraphs for us to examine. I won't include the text here so you'll have to follow along with your book at home. Better yet, come to the EA degree this month and think about the charge as it's delivered, not just to the EA, but to yourself as well. First things first, the charge congratulates us on being accepted into such an ancient and honorable institution. No doubt this was intended to reassure any newly initiated brothers who may be shaken or nervous that what they just experienced was indeed a worthwhile thing. For us as established Masons it's a great reminder of all the fraternity offers below the surface and of the parade of better-men-than-we who proceeded us in Freemasonry. Second we are reminded of the 3 great duties: to God, your neighbor, and yourself. I believe this is to instruct the newly made brother that Freemasonry is not to be placed ahead of our normal responsibilities, a call back to the assurance made prior to the obligation. As a Master Mason this reminds me why I strive to be better than I am. "So that if a Brother should be a Rebel against the State he is not to be countenanc’d in his Rebellion, however he may be pitied as an unhappy Man; and, if convicted of no other Crime though the loyal Brotherhood must and ought to disown his Rebellion, and give no Umbrage or Ground of political Jealousy to the Government for the time being; they cannot expel him from the Lodge, and his Relation to it remains indefeasible." Fourth we are reminded that we represent the craft. I think this is critical for Master Masons not to forget, especially in this day and age of social media. 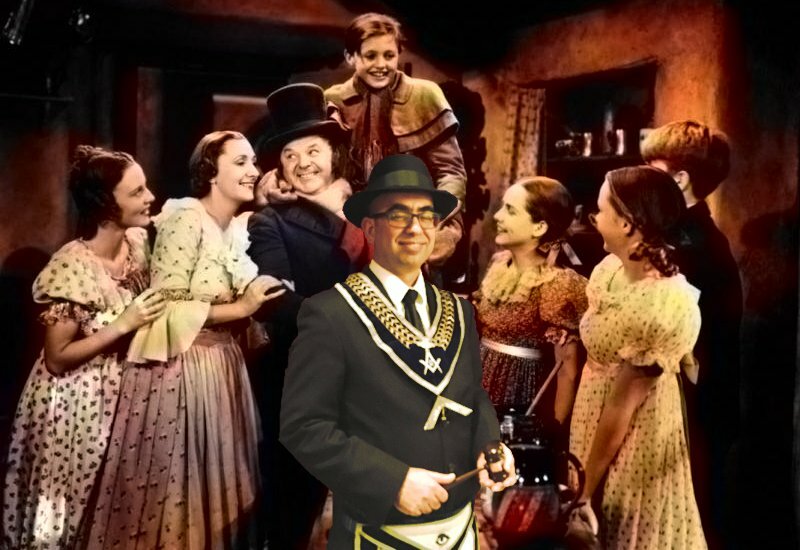 Whenever we engage non Masons in public or online, like it or not the craft will be judged by our words and actions. This is why I don't have the square and compasses on my car. We don't want the general public judging all of Freemasonry based on my ever-so-slightly aggressive driving. It also reminds us to be fair when dealing with our Brothers and the public, to not be biased towards our Brothers at the expense of our and Freemasonry's integrity. Fifth we are told that masonry shouldn't interfere with our vocation, but are encouraged to study it in our leisure time. As Master Masons this reminds us that we get out of it what we put into it. And we're also warned not to argue with those who seek to ridicule the institution. 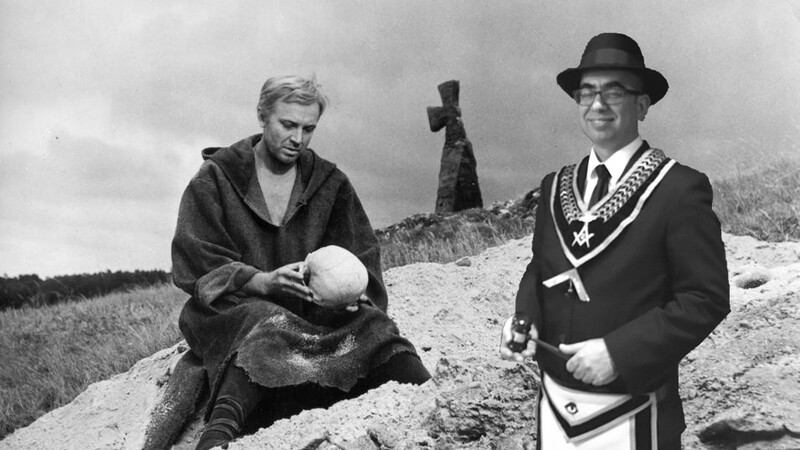 Again in the age of social media, you are even more likely to run into these sorts of ignorant folk, and getting into the weeds with them on twitters or facebooks doesn't further the cause of Freemasonry. Lastly, we are reminded that we shouldn't recommend anyone to the craft who couldn't live up to these charges. This is important, even in these days of declining membership, that we have standards that we hold ourselves and our brothers to. Brothers I hope this reminder encourages you to re-examine the charges through your own lens for your own betterment as a man and a Mason. I'm turning 45 this month. At age 44 I decided I was going to learn to snap with my left hand before I turned 45. Mission accomplished. Who says you can't teach an old dog new tricks? Next I decided I was finally going to solve a Rubik's cube. After some 30+ years of not being able to figure it out on my own, I cheated and learned some algorithms from YouTube. Same place where I learned to tie a bow tie, same place I learned to stabilize the temperature of my Kamado grill. I so enjoy learning new things that I believe I'll know when I'm done living when I'm done learning things. "The study of the liberal arts, that valuable branch of education which tends so effectually to polish and adorn the mind, is earnestly recommended to your consideration"
The liberal arts are the disciplines essential for a free (liberalis) person to master, as deemed by those old dudes of classic antiquity. To be an effective and productive citizen you had to have to had a solid grasp of the Trivium: grammar, logic, rhetoric; and the Quadrivium: arithmetic, geometry, music and astronomy. It really bums me out that I don't know more of each art. I've always admired the "Renaissance Men" -- the Leonardo Da Vincis and the Isaac Newtons. In classical antiquity though, there was only so much discovered, so much depth of knowledge. There was room to push understanding in every direction. Even later on during the Renaissance when the idea of the 7 liberal arts were adopted from the old dudes of antiquity, one could learn a solid understanding and expertise in multiple disciplines and be a true Renaissance Man. And from there they naturally found their way into our Fellowcraft Lecture. Can we still learn them all? Nowadays math is full of Fermat's Last Theorems, astronomy is full of quantum tunnelings, geometry is full of pseudoholomorphic curves, and philosophy is rife with abstract thought that makes my head spin (Existential phenomenology anyone?). A single person mastering so much knowledge is impractical. This surprisingly, is liberating to me (pun intended). There is so much to learn that you just have to take your time and pace yourself because you're never going to know everything. But you can have a lot of fun learning as much as you can along the way. There are many opportunities to learn, to breach the barriers of your personal unknowns and learn from the experts who stand on the shoulders of all those who came before them, who can trace their knowledge back to antiquity. So while snapping and solving Rubik's cubes are trivial skills not at all essential in modern life, they're things I never thought I'd learn and I did. Little victories in the little time we have in our busy lives. They're symbolic of my own personal forward motion in learning. Now to find time to get through the stack of books in my back log. I hope you make it to lodge soon, every business meeting we have an education, another great opportunity for learning. Last Master's letter I wrote about the Winter Solstice, the longest night of the year. Now I'd like to talk about February, the longest month in the year. "Wait," you might say, "February is the shortest month of the year." Well brother, measured by days, agreed. But after all the fun and excitement of the holidays and the New Year, and before all the glimpses and anticipation for Spring provided by March, sandwiched in the middle is February. I can see why Valentine's Day was put smack in the middle of February's 28 days, but its just not enough to make the month move. So for me, these are the longest 28 days of the year when cabin fever sets in. Is there a Masonic symbol for cabin fever? Is that the hidden meaning of the dot within the circle? Symbol or no, the thing February teaches me is patience, and to keep the eye on the long game. So to help me make it through this February, let's consider the 4 Cardinal Virtues. “TEMPERANCE is that due restraint upon our affections and passions which renders the body tame and governable, and frees the mind from the allurements of vice." Temperance (possibly aided by a wee nip of whisky) will help me keep my mind sharp and clear to focus on keeping life going and on track. “FORTITUDE is that noble and steady purpose of mind, whereby we are enabled to undergo any pain, peril, or danger, when prudentially deemed expedient." Fortitude (possibly aided by old fashioned vitamin D) will help me keep my body going through the cold and dark, moving past life's obstacles with resolve. “PRUDENCE teaches us to regulate our lives and actions agreeably to the dictate of reason, and is that habit by which we wisely judge, and prudentially determine, on all things relative to our present, as well as our future happiness." Prudence (definitely aided by my wife) will help me navigate the winter with wisdom, knowing to pick my battles and keep my sights on the light of Spring. “JUSTICE is that standard, or boundary of right, which enables us to render to every man his just due, without distinction." And finally Justice (aided by some self-reflection) reminds me that just as we all suffer through this winter, so too do I carry my share. I accept my just due, and suffer not alone. A new year is upon us. The bad news is, you're a year older. The good news is, you've made it halfway through my master's letters, you're over the hump! I've always thought it's weird that the New Year begins in January, in the midwinter. To me Spring, symbolic of rebirth, is far more suited. Though I may be biased as the first day of Spring is the New Year in the land of my birth. Lately though I've been thinking about the Winter Solstice. The shortest day of the year, when Fairbanks in Alaska gets less than 4 hours of daylight. Every day after the solstice is longer. And up until the Summer Solstice, every day is a little longer than the day that preceded. So while Winter itself symbolizes the waning years of life, the Winter Solstice is in effect a renewal of life and hope, as each day brings more and more light. Likewise while Summer symbolizes the prime of life, beginning on the longest day of the year, so too is it the beginning of the decline, each day being shorter than the last. I find these juxtapositions fascinating. At the very start of Winter, there is hope in every day's new light. At the very start of Summer, there is an urgency to take advantage of as much light as you can, as it is fleeting. When I think in this way, starting the year in Winter does make sense. Start from the darkest point and move towards the light. Let's get a fresh start together and with light added to the coming light, continue our work towards illuminating our lives as men and Masons. We had a very eventful 2017, here's to your 2018 being as healthy and prosperous as possible! Jan 24 - Festive Board: Burns Dinner | Zal Gaz Grotto Club RSVP NOW! So it has come to this. The last Master's letter and last Regular Communication of 2017. Where has the year gone? Bittersweet that it comes to an end. We've had fun, we've done some good work, and something more important. This past weekend WB Art, Steward Eric Bettner and I were consolidating the 159 and 262 storage lockers. As we moved boxes and pictures we made rediscovery after rediscovery. Found member records from 1923, which recorded the $20 per degree they paid as they joined. ($285 dollars per degree in today's money). Found picture after picture of newly installed officer lines. Found newsletters of their exploits. So much history and we barely scratched the surface, as we had to keep reminding ourselves that we were there to move history, not learn it. 2017 is about to join those many many years in the books. Everything we do extends what they have done. We are the continuance of what they started. I hope that we've done them proud. "Prudence teaches us to regulate our lives and actions agreeably to the dictates of reason, and is that habit by which we wisely judge and prudentially determine all things relative to our present and future happiness." It talks about our future happiness, our own personal happiness, that we can influence with prudence. But this makes me wonder if all these Masons of yesteryear, how much thought did they give to the future happiness that Art, Eric, and I experienced rediscovering their stories? Which leads to the "something important" I alluded to in the beginning. 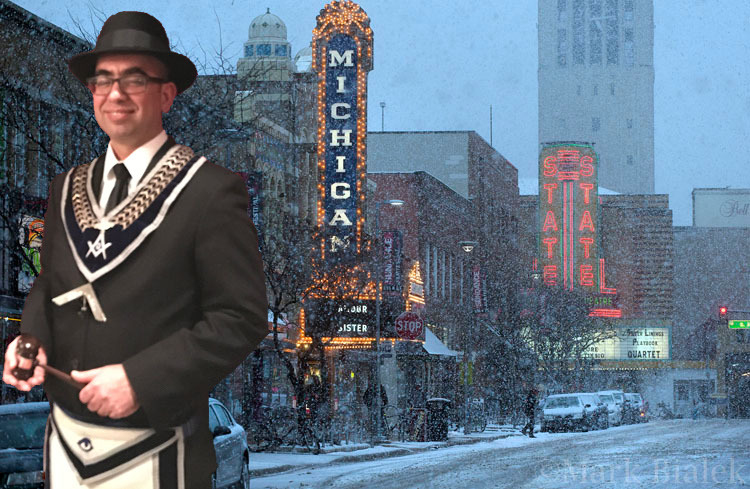 We're adding to the foundation of Ann Arbor Freemasonry for all the years to come. In 2017 we've accomplished much. Some historic - like the merging of 159 and 262, some not as historic - such as surviving the hottest Tigers game I've ever experienced, but all of it amazing and filled with brotherhood. What we do in 2018 will build off of what we have done this year. And I hope we continue to build something wonderful that will bring future happiness to unknown brothers to come. I want to once again thank everyone for all their hard work and support in making 2017 what it was, and I look forward to working with you all to make 2018 even better.